The ASOS homewear range is here, and all we can say is WOW | SHEmazing! Say goodbye to your financial stability ladies; ASOS has launched their homewear range, and it's as fabulous and affordable as you'd imagine. 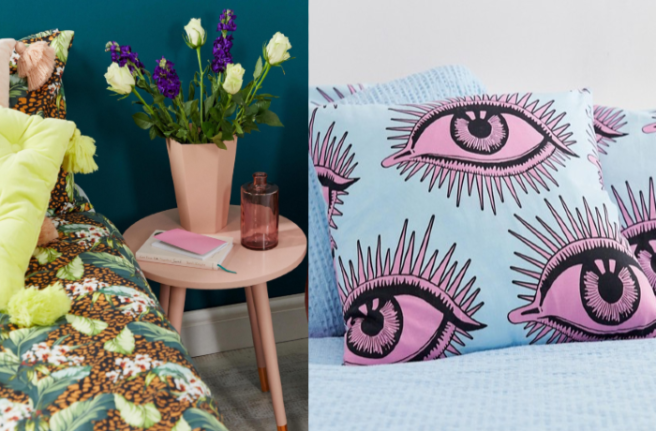 Everyone's fave online retailer has released ASOS SUPPLY, filled with an array of gorgeously patterned bedding and cushions, throw blankets, mirrors, kitchen bowls and even tie hangers. The three main trends of the collection are Cool Minimal (clean lines and brush stroke patterns), Eclectic Luxe (recycled glassware and animal print) and Global Traveller (bright colours and 70s-inspired rattans). The prices are stunningly cheap; starting from just €9, grab the whole collection and have cash to spare for shopping their fierce clothing lines and accessories. It's not the first fashion retailer to widen it's remits to interiors, but it's set to be hugely successful. We hope they expand the range ASAP, we've already shopped the entire thing. With modern kitchen and bathroom accessories, as well as planting and bedroom goods, there's something for everyone. While ASOS does in fact stock homewear products from brands like Sass & Belle, Chickidee, Typo and Paperchase, it's the first time that the company is launching it's own designs. All of the prints in the collection are created exclusively by ASOS’ in-house design team, and were made to suit all types of living spaces. Our personal fave items are definitely the elephant hook and eye patterned cushion cover with matching bedding. Iconic, how can we resist adding the entire collection to our baskets?